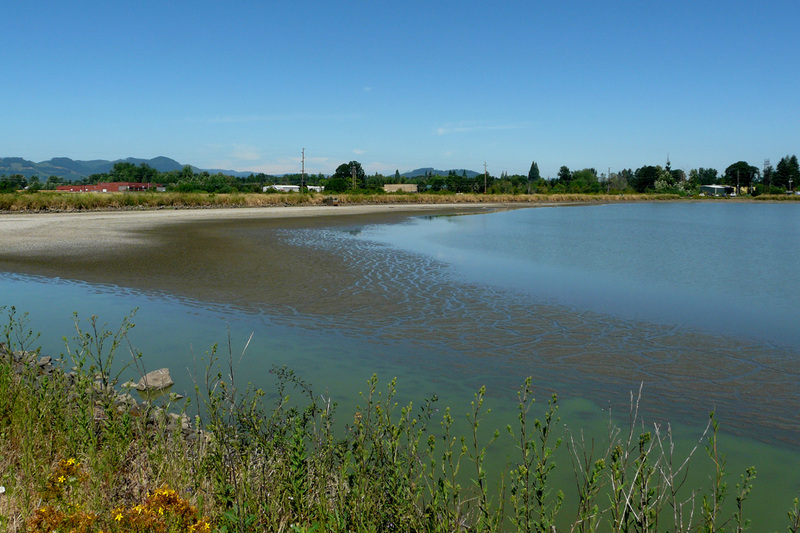 I visited several sites in Washington County to check for migrant shorebirds, inspired by the recent appearance of a Spotted Redshank at Fern Ridge Reservoir (Birding Oregon p 89) . I didn’t find anything so rare, but a few birds are moving through and there is promising mudflat habitat available. 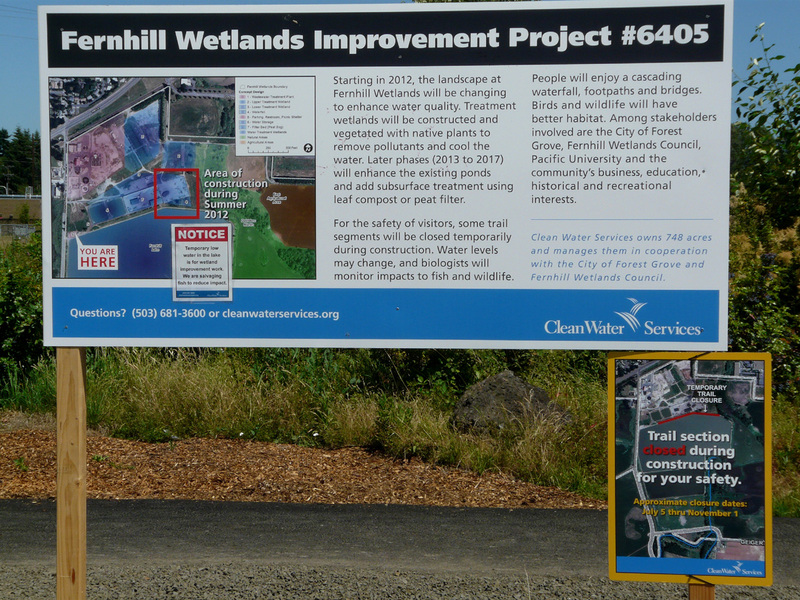 A lot of work is being done at Fernhill Wetlands (Birding Oregon p. 61), resulting in the closure of a small section of the trail around Fernhill Lake. The big news at Fernhill is the low water level of Fernhill Lake, creating mudflats along the shore for the first time in many years. Several species of shorebirds were feeding there today. Water levels in Mitigation Marsh are quite high, so there wasn’t much mud. 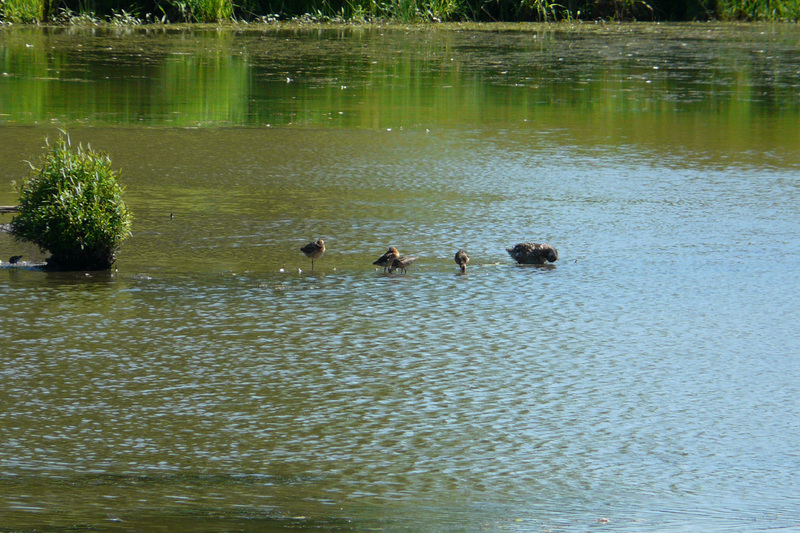 These Long-billed Dowitchers were hanging out with a Mallard. 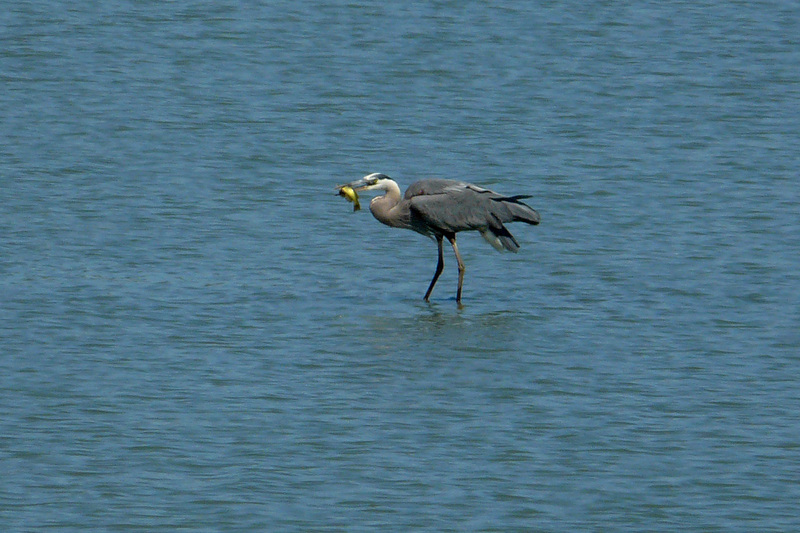 This Great Blue Heron caught a Bullhead (I can’t tell if it is a Yellow or Black Bullhead). He caught the fish near the middle of the lake, then flew to the shore to eat it. There was some mudflat habitat at Jackson Bottom Wetland (Birding Oregon p. 60), but not a lot of shorebirds yet. 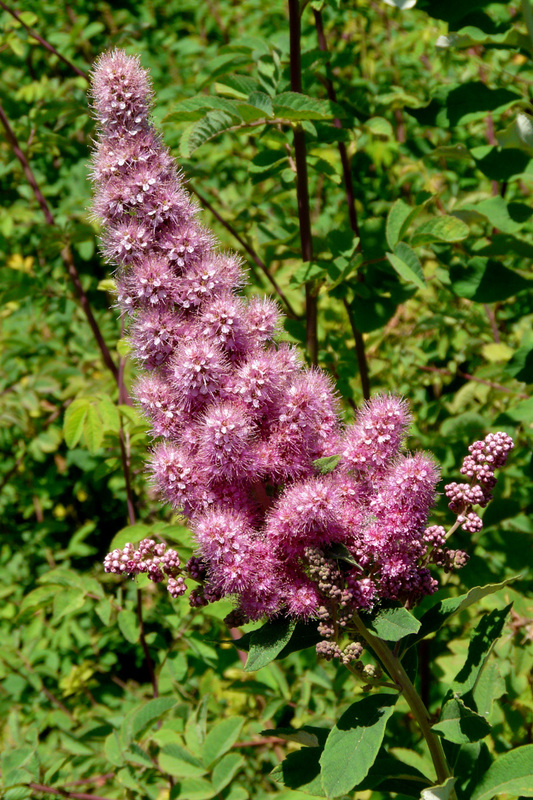 The Hardhack is in bloom, adding a splash of color to the marsh. One of these days I may have to break down and buy a field guide to dragonflies. Or maybe I will just learn to appreciate beautiful creatures without putting a name to them. Tree Swallows are thick at Jackson Bottom. Notice the dusky wash across the upper breast. 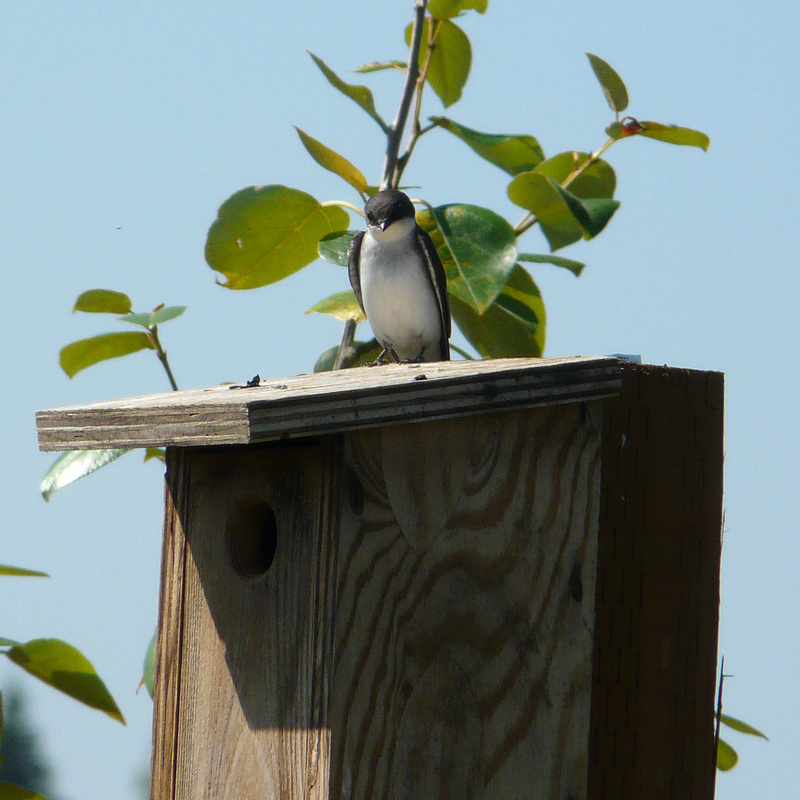 Young Tree Swallows can show extensive dark coloring here, leading some birders to confuse them with Bank Swallows. 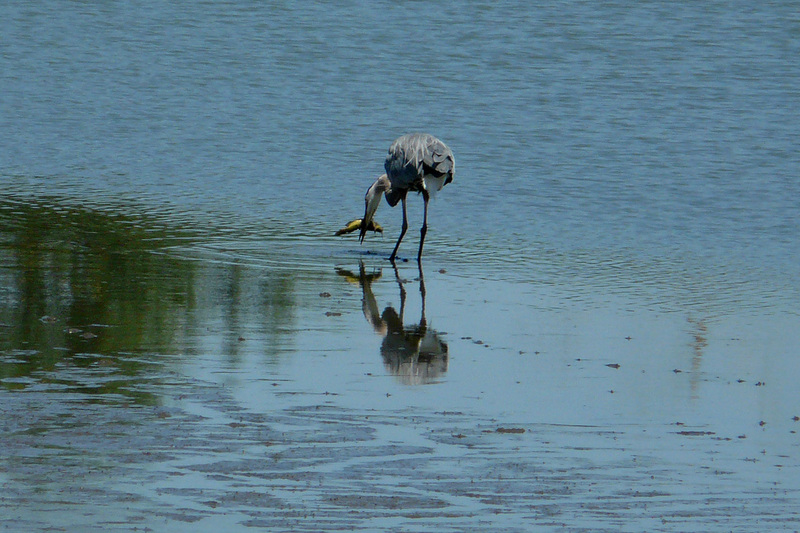 This entry was posted in OR Birding Sites, seasonal movements and tagged Fernhill Wetlands, Great Blue Heron, Jackson Bottom, Long-billed Dowitcher, Mallard, Tree Swallow. Bookmark the permalink. You should get the ‘Dragonflies and Dameselflies of the Willamette Valley’- Dan’s recommendation. It hasn’t let me down yet. 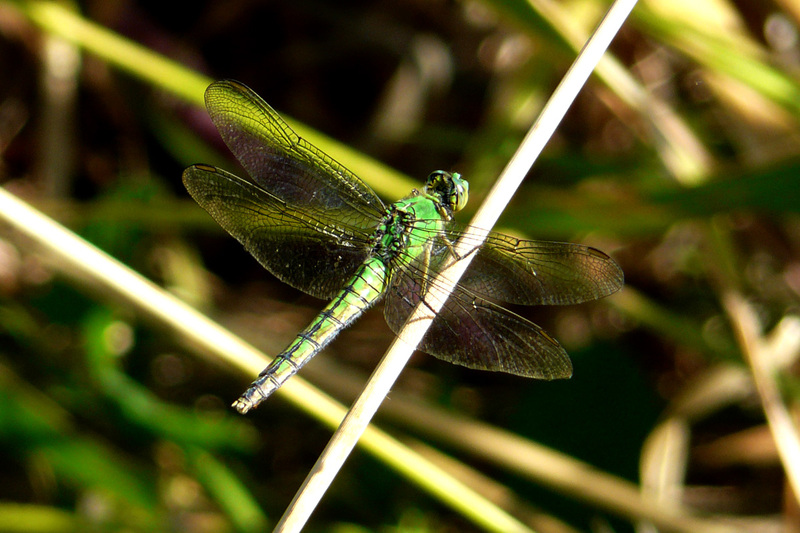 I think that’s a Western Pondhawk female. Thanks for the report. Maybe shorebirds will pick up at the end of the month. 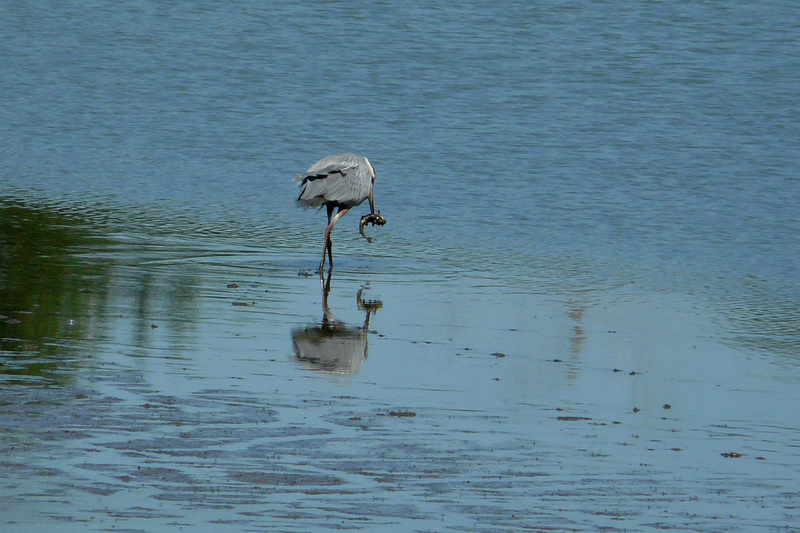 Those heron/fish photos are awesome! And very interesting about Fernhill mudflats. I might have to venture out there soon.